Janssen has won US approval for its once-daily HIV pill Symtuza (D/C/F/TAF), which it hopes will improve patient adherence and resistance to treatment. Symtuza (D/C/F/TAF) combines Janssen’s darunavir with Gilead’s cobicistat, emtricitabine and tenofovir alafenamide in a single pill and was licensed for HIV-1 in treatment-naïve and certain virologically suppressed adults. Brian Woodfall, global head of late development, infectious diseases at Janssen Pharmaceutica, said: “The FDA approval of Symtuza marks another important milestone in our quest to address real-world clinical challenges, combat HIV drug resistance and meet the diverse needs of those living with HIV. US Department of Health and Human Services guidelines recommend darunavir-based therapies for treatment-naïve patients in certain clinical situations, including when a person may have uncertain adherence or if ARV treatment is needed before resistance test results are available. 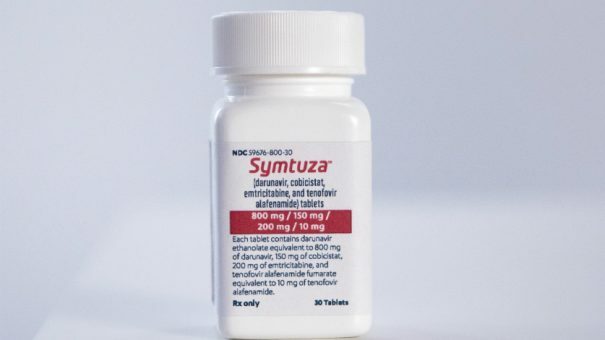 Symtuza’s US approval came on the back of phase 3 clinical trials assessing its safety and efficacy against a control regimen in adults with no prior ARV history (AMBER) and in virologically-suppressed adults (EMERALD). The two trials found Symtuza to be both effective and well-tolerated, with up to 95% of patients achieving or maintaining virologic suppression. However, as part of its licence from the FDA the drug will have to carry a boxed warning about its risk of post-treatment acute exacerbation of hepatitis B. The treatment was approved by the European Commission last September and earlier this year by Health Canada in April.